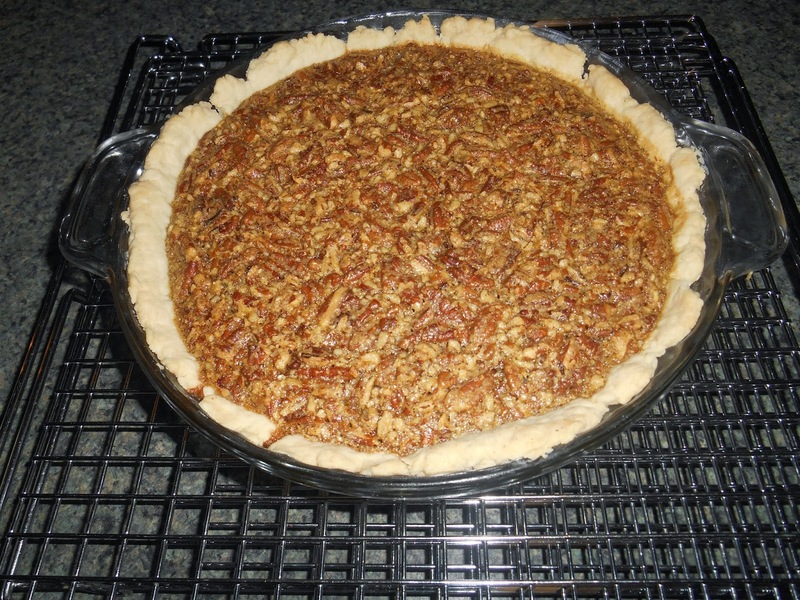 This was our first attempt at our own pecan pie recipe. My husband has eaten pecan pies for many years considering that his grandfather owns a pecan farm in New Mexico. With so many pecan pie recipes out there, we chose to make this our own. Place flour and salt in a mixing bowl and stir by hand. Add coconut oil and mix until mixture resembles coarse meal, making sure there are no large pieces of coconut oil remaining. Add ice water a couple of tablespoons at a time, and mix by hand, just until dough begins to come together. Roll out dough on a lightly floured surface and place in pie dish. Preheat oven to 400ºF and adjust rack to lower-middle position. Heat maple syrup over medium heat in a medium saucepan. Simmer about 10 -15 minutes. While syrup is simmering, place cane sugar and coconut oil in a medium mixing bowl. As soon as the syrup is done, immediately pour syrup over sugar and oil mixture. Let mixture sit for 5 minutes and then whisk together. Whisk in eggs, vanilla and sea salt. 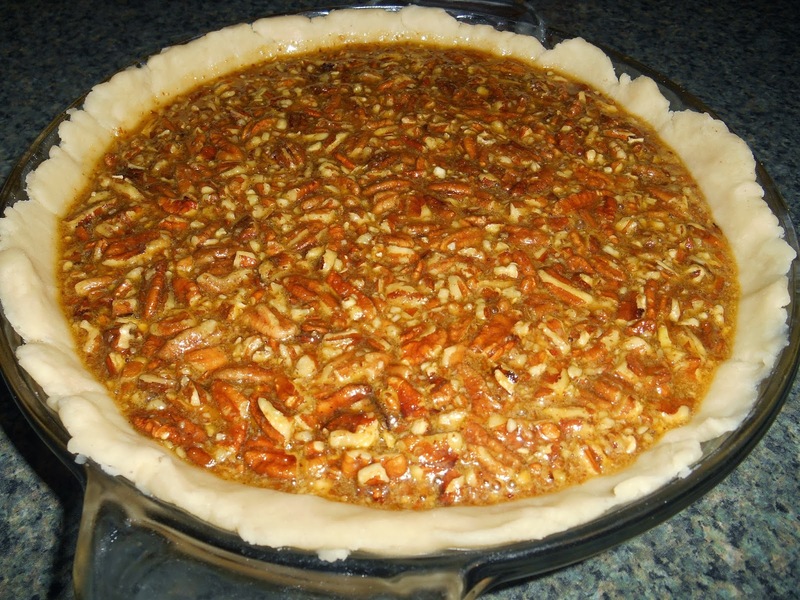 Stir in pecans and pour into prepared pie crust in pie plate on a large baking sheet. Bake for 15 minutes. Reduce heat to 350ºF and bake for an additional 15 minutes. The filling will be a little runny until the pie cools down completely. Me oh my, pecan pie! I am somewhat of an expert in this case and I can say it is as good as it gets. You probably would. We enjoy every single time. How did it compare for your husband with the pecan pies of his childhood. Ours always had Karo syrup. Yours looks much healthier.